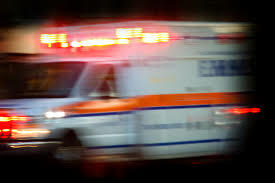 The defendant in Commonwealth v. Palacios claimed that the ambulance rec ords should not have been admitted against her at his OUI/DUI trial and that references to her intoxication should have been redacted. The Massachusetts Appeals Court, however, concluded that the ambulance records were properly admitted as records of medical services. This case began when the defendant ran a stop sign and crashed into another car. The police officer who responded to the accident scene observed the defendant to have glassy eyes and be unsteady on her feet. She admitted to having ben drinking, stating she had 2-3 drinks. She was not arrested at the scene because she claimed to be injured and an ambulance was called to take her to the hospital. Prior to trial, the prosecutor filed a motion seeking to admit both the ambulance and hospital records at trial. The defendant filed a motion requested that they not be admitted, arguing that the references contained therein to intoxication were inadmissible because they were “not sufficiently related to her treatment or medical history and touched on the ultimate issue of her guilt.” Although the judge agreed to redact the words “alcohol acute” and “alcohol intoxication” from the records, the balance of the records were admitted over the defendant’s objection. The issue on appeal focused with the statute of Massachusetts General Laws Chapter 233, sec. 79 and 79G. Those statutes relate to the admissibility of hospital records at trial. The question presented to the Appeals Court was, in essence, whether the ambulance records were admissible pursuant to the statutes pertaining to hospital records. The Appeals Court acknowledged that, by its own language, the statute does not expressly include ambulance companies. However, they noted that, at trial, the defendant did not argue that ambulance companies are not within the definition of hospitals. In considering this issue, however, the Appeals Court concluded that ambulance records are admissible under sec. 79G. They likened EMTs to other certified or licensed professions, such as chiropractors and physical therapists, so that their opinions, if included in the records, would be admissible. With regards to references of alcohol intoxication contained within the records, the Appeals Court noted that “In OUI cases, we have consistently approved the admission of medical records to show that a criminal defendant has consumed intoxicating liquor shortly before events that led to the defendant’s arrest.” An example of such admissible records would include hospital blood tests, as well as “more personal, less scientific, judgments about alcoholic odor.” For this reason, the trial judge did not commit any error when he admitted portions of the records that included references to alcohol intoxication. Massachusetts OUI/DUI Lawyer Lefteris K. Travayiakis is available for consultation and can be reached at 617-325-9500.